The Tank will be rocking tonight as the San Jose faithful welcome back their Sharks for Game 3 of the Western Conference Finals, and those who waited to purchase tickets until the eleventh hour are in luck - Sharks tickets at SAP Center are quickly dropping in price on the secondary market. According to TicketIQ, the average resale price for Game 3 Sharks vs Blues tickets is now $198.88. That marks a 11.5% drop since Monday morning, when tickets averaged $224.75. Such a price drop is unusual considering the Sharks' Game 2 win in St. Louis Tuesday. However, prices for Game 3 have been tumbling since before the series began last weekend. Prior to the start of the series last Friday, Game 3 tickets were averaging $305.28, marking a 35% tumble on average since. It is the only Conference Finals game to dip below the $200 average on the secondary market. If looking just to get past the gates at SAP Center tonight, the cheapest ticket is now listed from $102. Lower bowl seating in the 100-level sections starts from $198. Fans may want to capitalize on the falling ticket prices for Game 3, as Game 4 has yet to experience such a nosedive on the resale market. 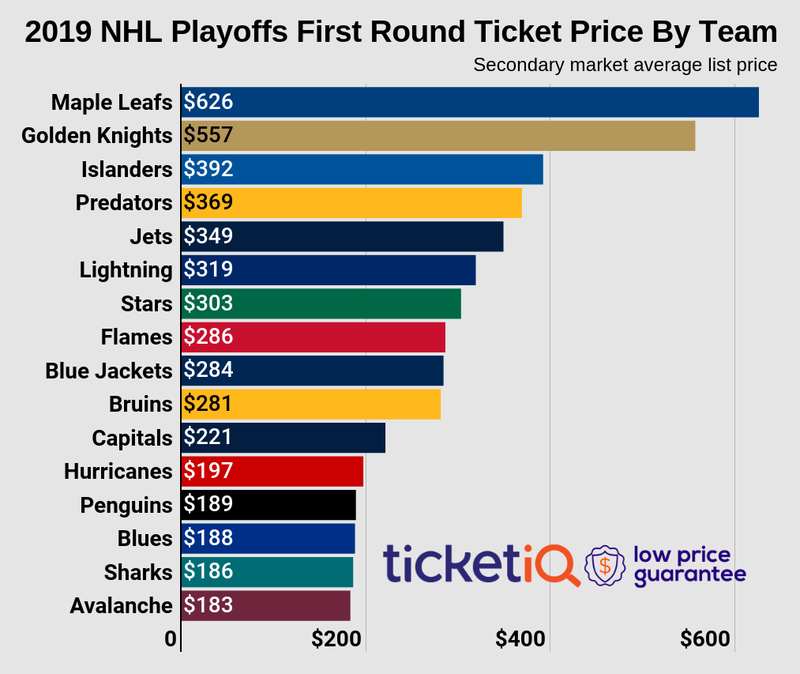 The average resale price for Game 4 Sharks vs Blues tickets is now $277.43, 39.5% more expensive on average than that of Game 3. The cheapest ticket to Saturday afternoon's game is now $132. Leveled at 1-1, the Western Conference Finals has showcased two polar opposite games. The Sharks could not rally against the Blues in Game 1 after allowing a game-deciding goal to Jori Lehtera midway through the second period. They came out swinging in Game 2, however, storming past the Blues, 4-0, to knot the series at one game apiece. The Sharks are looking to make their first Stanley Cup Finals appearance in franchise history. Should they muster up three more wins, fans can expect to be paying massive premiums for Stanley Cup Finals tickets should it reach the Bay Area.